One of the main open questions in origin of life research focuses on the formation, by self-organization, of primitive cells composed by macromolecular compounds enclosed within a semi-permeable membrane. A successful experimental strategy for studying the emergence and the properties of primitive cells relies on a synthetic biology approach, consisting in the laboratory assembly of cell models of minimal complexity (semi-synthetic minimal cells). Despite the recent advancements in the construction and characterization of synthetic cells, an important physical aspect related to their formation is still not well known, namely, the mechanism of solute entrapment inside liposomes (in particular, the entrapment of macromolecules). In the past years, we have investigated this phenomenon and here we shortly review our experimental results. We show how the detailed cryo-transmission electron microscopy analyses of liposome populations created in the presence of ferritin (taken as model protein) or ribosomes have revealed that a small fraction of liposomes contains a high number of solutes, against statistical expectations. The local (intra-liposomal) macromolecule concentration in these liposomes largely exceeds the bulk concentration. A similar behaviour is observed when multi-molecular reaction mixtures are used, whereby the reactions occur effectively only inside those liposomes that have entrapped high number of molecules. 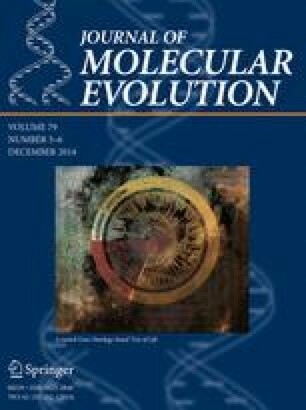 If similar mechanisms operated in early times, these intriguing results support a scenario whereby the formation of lipid compartments plays an important role in concentrating the components of proto-metabolic systems—in addition to their well-known functions of confinement and protection. This review summarizes the results obtained in the last years by the joint efforts of P. L. Luisi and A. Fahr groups, starting within the EU-FP6 SYNTHCELLS project (Approaches to the Bioengineering Synthetic Minimal Cells, Nr. 043359). We thank Fabio Mavelli (University of Bari, Italy) for discussion on stochastic simulations. T. Pereira de Souza was supported by the Alexander von Humboldt Foundation as a post-doctoral fellow in Jena. A more extensive version of this review can be found in Luisi (2012).